We are an all U.S. based contact centre that provides you and your customers with a world-class customer experience. Establish your brand as the premier resource in your industry by delivering superior customer service at every contact point with Ansafone Contact Centers. Your customers deserve a world-class customer experience. Ansafone delivers award-winning, industry-recognized, unparalleled customer service. Looking for an outbound call center to help you meet your organization’s goals, increase sales, save you money, and expand your business? You’ll need an outbound BPO service. 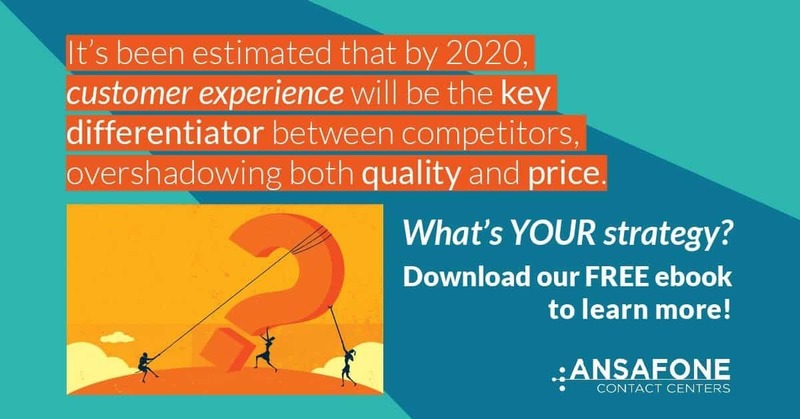 At Ansafone, we become a seamless extension of your business and provide you and your customers with award-winning, industry-recognized, unparalleled customer service. With our 47 years of contact center experience, we have the knowledge and expertise you’re looking for, along with the cutting-edge technology and tools you need. It begins with learning about you and your business, and then creating a customized solution that delivers. At Ansafone, single call resolution is the goal for every customer, every time. Our customer-centric approach works within any industry. Each client receives focused attention and the benefit of relevant expertise, while the superior quality of our customer experience remains the priority. Our call center agents can fully and securely integrate into your systems in real time, or we can build a customized solution that works with yours. We will work with you to develop key performance indicators (KPI’s) that help you to measure our performance and ensure that your customers have a world-class customer experience. Does Your Business Need The Ability to Scale Up or Down Based On Seasonal Demand? Our U.S. based call centers are available 24/7/365 so you never need to worry about downtime. With call centers on the East and West coasts – we are situated to keep running, with redundancy procedures that mean even the weather can’t shut us down. Whether inbound contact is made via phone, email, social media, a website form or a live chat box, customers expect to reach a live agent any time that they need you. A custom-designed Interactive Voice Response (IVR) telephone system ensures that your primary point of contact with customers is easy and direct. Drive conversions and strengthen brand loyalty by offering online visitors on-demand customer support. In an outbound center, we don’t take calls from customers—instead, our agents call the customer. Outbound services traditionally include telemarketing, sales, surveys, and customer retention calls. Contact us to discover the many benefits of incorporating Ansafone’s custom email support services into your customer communication strategy. With social media support, you can stay on top of all your social profiles effortlessly—24/7, every day of the year. Enter your email below to download your FREE copy of our eBook, “Developing a Customer Experience Strategy”.